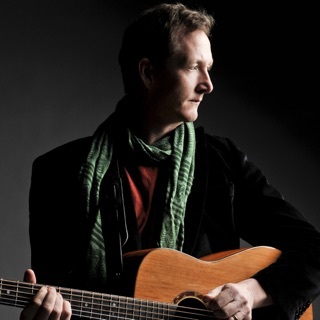 Séamus Egan attained his greatest success as a solo artist with his soundtrack for Edward Burns' 1995 film The Brothers McMullen; it spent four months on the world music charts and included the Top Ten hit "I Will Remember You," recorded by Sarah McLachlan. Egan, however, has been an important presence on the Irish music scene for far longer. A four-time winner of the All-Ireland award (on an unprecedented four different instruments), Egan has been a member of a trio also featuring Mick Moloney and Eugene O'Donnell, an all-star congregate of Irish musicians and singers (Green Fields of America), and an Irish trad-folk band (Solas), and he has also been a soloist. In addition, Egan has recorded Irish music with Eileen Ivers, John Doyle, and African percussionist Kimati Dinizulu, and even hip-hop with Vernon Reid of Living Colour. Egan's earliest exposure to traditional Irish music came when he moved, at the age of three, with his parents and five siblings to Ireland. Settling into the small village of Foxford in County Mayo, he studied under button accordionist Martin Donaghue around the age of six or seven. His musical interests were expanded after watching a television show featuring flutists Matt Molloy and James Galway and listening to a radio program spotlighting banjo player Matt Moloney. Within a short time, Egan was playing well enough to enter and win the All-Ireland competition in flute and whistle. Shortly after returning to the United States with his family, and moving to Philadelphia in 1980, Egan met Moloney, who had immigrated to the Pennsylvania city. Egan quickly fell under Moloney's wing and began taking informal banjo lessons. Two years later, Egan returned to Ireland and won All-Ireland awards in banjo and mandolin. In his mid-teens, Egan left the competitive world and began to play professionally with his sisters, Siobhan and Rory. Before long, he accepted an invitation to join a trio with Moloney and O'Donnell. The trio recorded an album, 3 Way Street, in 1993. After recording his debut solo album, Traditional Music of Ireland, Egan joined Green Fields of America, a large group of America-based Irish musicians led by Moloney and featuring such stellar musicians as Robbie O'Connell, Liz Carroll, Eileen Ivers, Jerry O'Sullivan, and Jimmy Keane. The group recorded an album, Live in America, in 1989. Although Egan temporarily lived in Boston to attend Boston College, his home was in New York. In the early '90s, he formed a New York-based band, the Chanting House, with Ivers, Doyle, and Susan McKeown. Egan continued to focus on his solo career as well, releasing his second solo album, A Week in January, in 1990. Although the Chanting House disbanded before recording an album, Egan joined with Ivers and Doyle and Kimati Dinizulu to record a track, "Ships Are Sailing," on Ivers' solo album Wild Blue. He continued work to periodically with Moloney and O'Donnell as well, reuniting to perform at Bonnie Raitt's wedding. Egan's involvement with the film The Brothers McMullen was sparked when producer Edward Burns heard him performing during a tour dubbed The Young Turks of the Banjo. Although initially a low-budget project, the film was accepted into the Sundance Film Festival, where it received a Grand Jury prize. After being picked up for distribution by 20th Century Fox, the soundtrack was recorded and the film's quality enhanced. Egan's music was subsequently featured in the PBS documentary Out of Ireland.